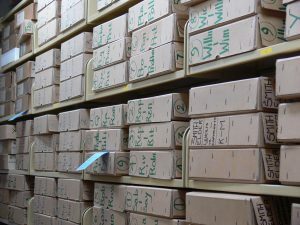 When the John Murray Archive (JMA) arrived at the National Library of Scotland in 2006, approximately 17,500 individuals had been identified as having an item relating to them in the archive. For each of these, their full name, dates and epithet (a little descriptive detail in order to distinguish that particular person) needs to be established. Sometimes, the authors of the letters provide so much information that they can be identified very quickly – a clear signature, date and address along with useful information in the main content of the letter is a cataloguer’s dream! Others are not so helpful and that is when the detective work begins. A wide variety of reference works and tools are often needed to establish the writer’s identity. 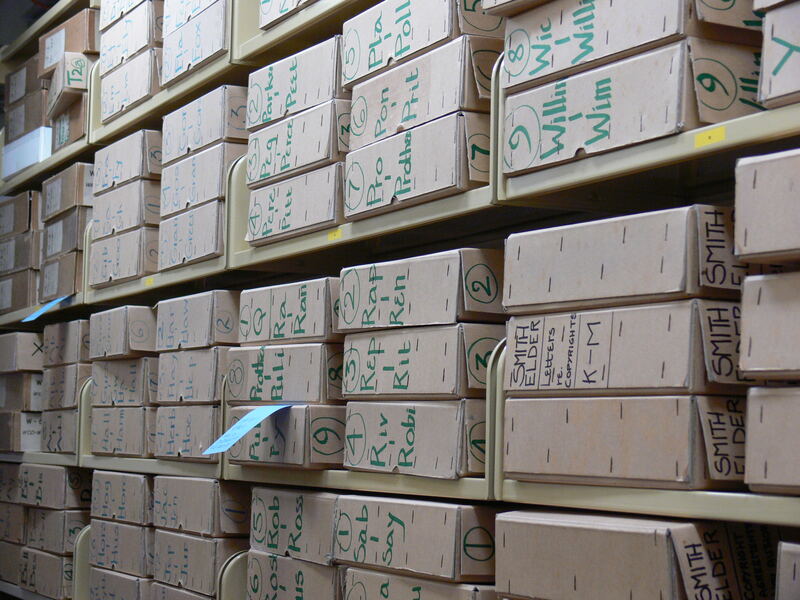 Not least the archive itself. Two recently catalogued letters were simply signed “Mrs Dawson”. In the second letter, dated 1837, she thanks John Murray II for a copy of a book and talks of her admiration for her brother. But, Dawson is not a particularly unusual name and the fact it was a “Mrs” tends to make the search harder. Women generally do not appear as frequently in the historical records and often change their name upon marriage, which can hinder the search process too. Luckily, the JMA itself can provide clues. It contains Copies Day Books for the publishing house. These accounting books show the costs for publications, entered on a daily basis. They also sometimes list the recipients of presentation copies. Just prior to the date of the second Mrs Dawson letter, there is an entry for the work ‘Description of the banquet given in honour of the Right Hon. 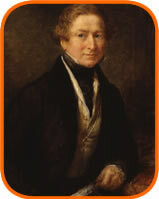 Sir Robert Peel, Bart., M.P. on his election as Lord Rector of the University of Glasgow’. This entry shows that a copy was sent to a Mrs Dawson. So, was the brother referred to by Mrs Dawson the eminent statesman? As it turns out, yes. He had a sister named Mary, who in 1816 married George Robert Dawson, the future Under Secretary of State. Another letter had been initially listed as being from William Dew. It helpfully had an address on it – The Palace, Londonderry. This is the palace used by of the Bishop of Derry. After an unsuccessful search for any information relating to a William Dew at the palace, another look at the signature was in order. The signature of William Dew? On closer examination, the Dew started to look more like Derry – look at the way the writer has written the y of Murray in the line above. When the letter was written in 1893, the Bishop of Derry was William Alexander. Other letters of his had already been identified in the JMA, so a check of those confirmed that the handwriting matched and it was indeed from the same man. There is definitely a satisfaction in chasing down the threads through the archive. But, sometimes it is frustratingly impossible to clearly identify the writer. The catalogue can then only reflect information contained within the letter itself. So, if you write a letter any time soon, have a thought for future archivists – dates, addresses and clear signatures are always welcome, whereas bad handwriting might consign you to be misidentified for all eternity!